Move over Sriracha, this spicy North African paste is finally having its time in the limelight. Originating in Tunisia, harissa is usually composed of chiles blended with garlic and olive oil, but regional variations (such as cumin, coriander, or tomatoes) exist throughout Africa and the Middle East. The flavor and heat depends on who's making it, but most recipes include a variety of peppers such as Baklouti (known as the pepper of Tunisia), roasted red bell peppers, and other types of hot chili peppers. A popular twist is to smoke the peppers to add an extra depth of flavor. Most American cooks rely on the easier-to-find North or South American pepper varieties found in Hispanic specialty stores, or choose to use pre-made imported paste. The peppers that are so important to the Tunisian cuisine are assumed to have been brought over during the country's Spanish occupation in the 16th century. Nowadays sales are a large part of their economy, with Tunisia exporting over 24,250 tons of harissa (the equivalent of 3233 elephants or 668 18-wheelers) in 2008 according to the Oxford Business Group's The Report. Harissa has gone far beyond its country of origin (where it is called "the national condiment") and can be found throughout Europe. It's particularly prevalent in French cooking, being introduced by the North African Jews who immigrated after France ended their 75 year occupation of Tunisia following WWII. It is now a common spread for tartines (open faced sandwiches) and isn't an unusual ingredient in French cookbooks. Harissa can be homemade or store bought. We got our harissa varieties at the local Mediterranean grocery store and World Market, and it can also be found in African or Middle Eastern groceries and some health food stores. For such a specialty ingredient, it was surprisingly cheap with the prices ranging from $2.49 to $2.99 for a little over 4 oz. of the spicy paste. Two of our varieties (Korba and La Flamme) are imported from Tunisia and the other (Dea) is French. We tested all three in several dishes to see what exactly all the harissa hype is about. Be warned, depending on what type you get it can range from being reminiscent of a spicy tomato paste (La Flamme) to being on par with sriracha (Dea) to needing a drink nearby (Korba). All are delicious, just be sure to adjust your use of it in recipes based on the brand used and your heat preference. Many spice-lovers find store-bought "hot" hummus to be lacking in heat. Fix that by stirring a bit of harissa in for a bright orange hummus with a bite. Whisk 1 tablespoon of harissa into 1 cup of prepared hummus, serve with pita chips. Put down the ketchup and turn to our new favorite red condiment. 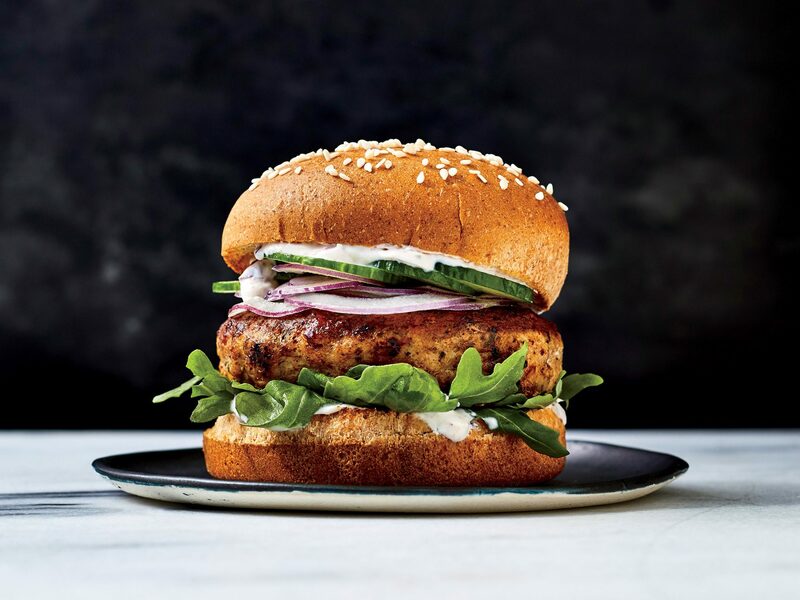 Mix the harissa with mayo to cut down on the heat while still getting a bit of a kick with your burger. Whisk together 2/3 cup mayo and 1/2 tablespoon harissa, place on top of a dressed burger. Put a twist on simple tomato pasta by adding some fiery harissa. Sauté 1 chopped yellow onion in 1/2 cup olive oil until translucent. Add 2 teaspoons minced garlic and cook until golden brown. Remove from heat and whisk in 3 tablespoons tomato paste and 1 1/2 tablespoon harrisa. Toss with 1 lbs. cooked pasta, 1 drained can of black olives, and 2 tablespoons capers.